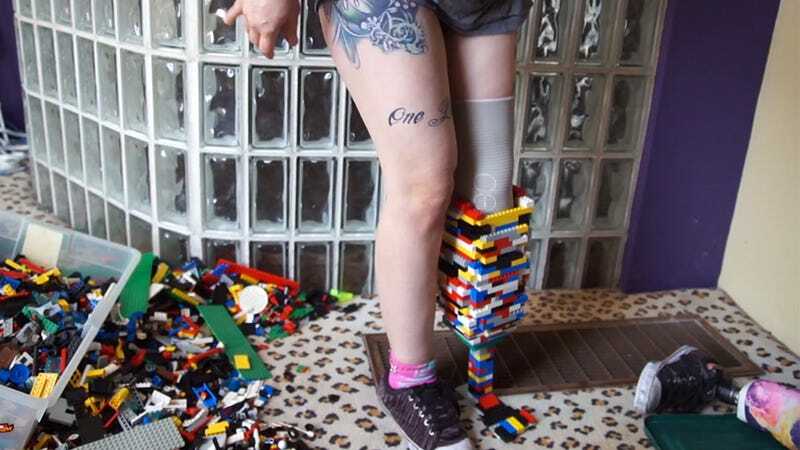 Watch Christina Stephens—a practicing occupational therapist and clinical researcher who lost her foot after a crush injury—build herself a working prosthetic leg out of Lego. Someone in my research lab jokingly suggested I make a prosthetic leg out of legos. The joke's on you—I went home and did it. Please don't do this yourself, I don't want you to fall and get hurt! Fantastic construction and awesome sense of everything. Christina has a Facebook page and YouTube channel where she features "informational videos related to healthcare, occupational therapy, prosthetics, manual wheelchairs, medical equipment and more." Thanks for the tip Chris Pirillo!